Michigan is home to more lighthouses than any other state, and many still function today. They warn of dangerous shoals and reefs and mark dangerous stretches of shoreline on Lake Superior, Lake Michigan, Lake Huron, and Lake Erie. 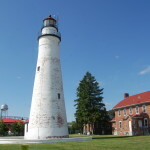 Each lighthouses is a unique structure with a storied history, and nearly all of Michigan’s lighthouses remain accessible. Many lighthouses are open as museums, providing a glimpse back into the life of a lighthouse keeper in the late 1800s and early 1900s. On the heels of our recent Michigan Bucket List: Waterfalls post, we’ve put together a list of 25 Michigan lighthouses you should definitely plan on seeing. 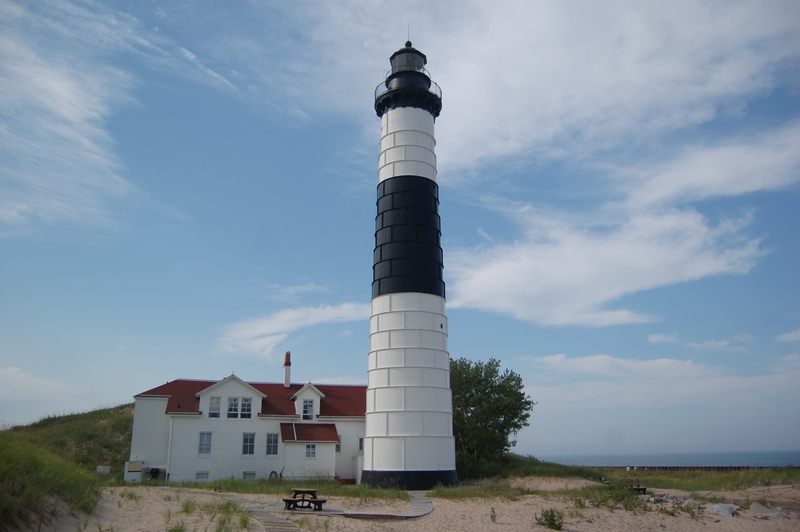 This is our Michigan Bucket List: Lighthouses. Enjoy! Au Sable Point Lighthouse, Pictured Rocks National Lakeshore – The only lighthouse in the Pictured Rocks National Lakeshore, Au Sable Point Lighthouse can be reached by a 1.5 mile hike from the Hurricane River campground. A walk along the beach just south of the lighthouse shows why it was necessary, as the shipwreck remnants of two wooden vessels can be seen poking out of the water. It was built in 1874 and the tower stands 87 feet tall. In the summer, the park service has staff on hand for tours of the keeper’s dwelling and the tower. 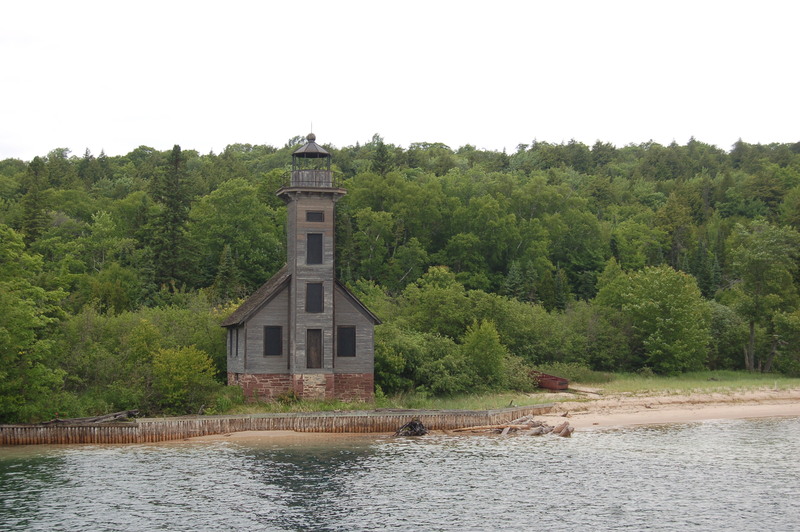 Grand Island East Channel Lighthouse, Grand Island – This 1868 lighthouse can be seen from the Glass Bottom Shipwreck Cruise or Pictured Rocks Cruise that run out of Munising. 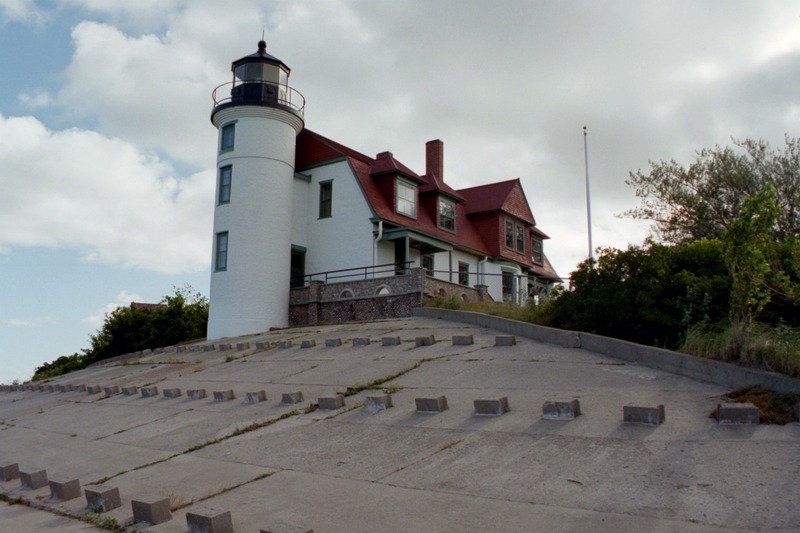 The weathered wood exterior make this one of the state’s more scenic lights, and preservation efforts have helped keep the shoreline from eroding and the lighthouse falling into Lake Superior. The Grand Island East Channel Lighthouse is a schoolhouse type structure with a tower that is 45 feet tall. Holland Harbor Lighthouse, Holland State Park – “Big Red” is one of West Michigan’s most iconic lighthouses, and it has been standing guard at the Holland channel since 1907. The channel connects Lake Michigan and Lake Macatawa, and the Holland Harbor Lighthouse can be viewed from Holland State Park on the channel’s north side. 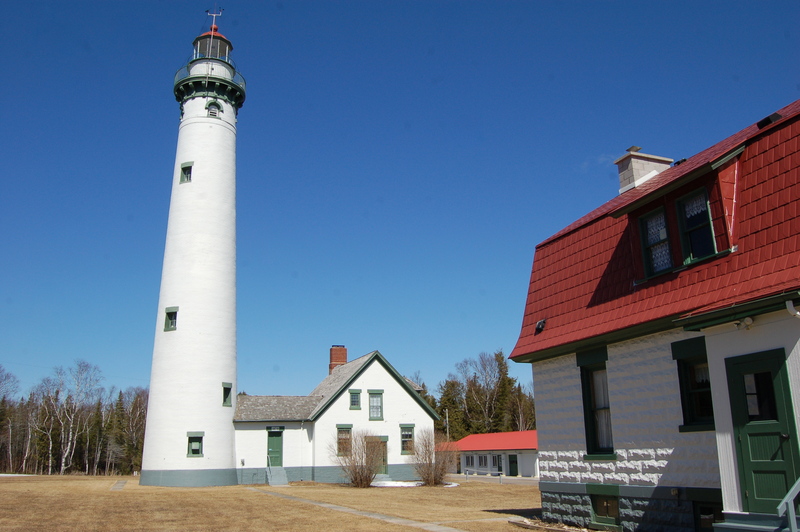 The square tower construction is uncommon for Michigan lighthouses and its gabled roof makes it visually appealing while paying tribute to the area’s Dutch heritage. The tower is 32 feet tall. Little Sable Point Light, Silver Lake State Park – Thousands of tourists flock to Silver Lake State Park each summer to explore the wide expanse of sand dunes, ride ORVs, or swim in Lake Michigan. 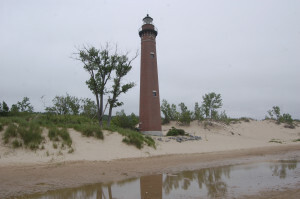 The park’s south unit features the historic Little Sable Point Light, as well as a sandy beach. The tower, constructed in 1874, is all that remains of what was once a lighthouse with an attached dwelling. Its rust brick color helps it stand out above the sand, water and trees. The tower is 107 feet tall, and in the summer months can be climbed when the Sable Points Light Keepers Association has volunteers on site. 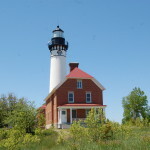 Point Betsie Lighthouse, Frankfort – Visitors to the Sleeping Bear Dunes national Lakeshore should be sure to stop by Point Betsie for incredible sunsets and views of a unique lighthouse that dates back to 1859. 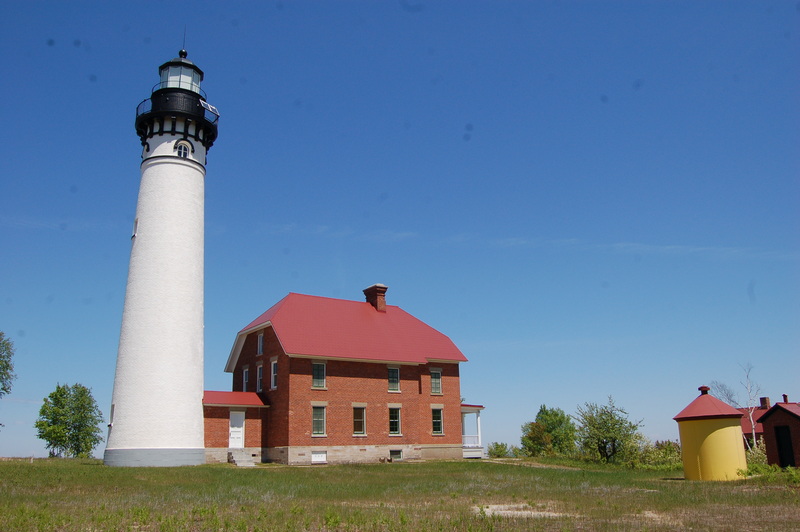 The Point Betsie Lighthouse features a 37 foot cylindrical tower attached to a keepers house with a gambrel roof design. The lighthouse is white with green and red accents. Tours are available on select dates, find out more at http://www.pointbetsie.org/. Old Mackinac Point Lighthouse, Mackinaw City – Mackinaw City has been one of our state’s top tourist destinations for decades, and the Old Mackinac Point Lighthouse has stood guard there since 1892. This lighthouse is easily recognizable with its Cream City brick exterior and castle-like appearance. The Straits of Mackinac have always been dangerous for ships, and this lighthouse helped guide the way until the Mackinac Bridge was constructed and opened. The park surrounding the light has great views of the Mackinac Bridge and a sidewalk connects the lighthouse and Historic Fort Michlimackinac. Find out more about tours at: http://www.mackinacparks.com/parks-and-attractions/old-mackinac-point-lighthouse/. 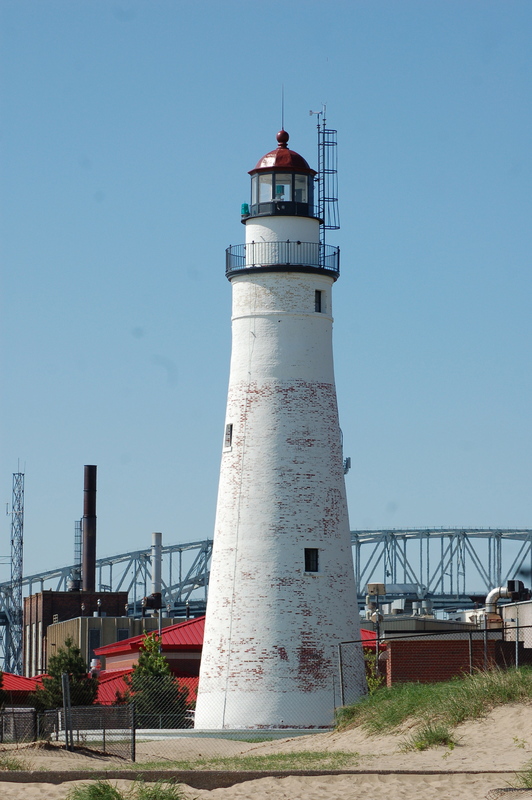 Fort Gratiot Lighthouse, Port Huron – Michigan’s oldest lighthouse can be found in Port Huron, just across the river from Canada. 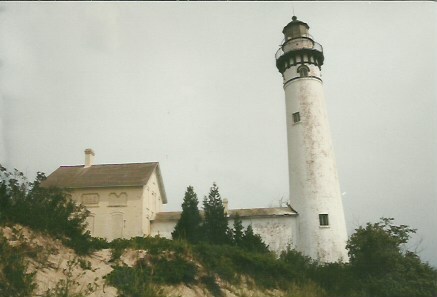 The Fort Gratiot Light was built in 1829 and the tower is painted white while standing 82 feet tall. The lighthouse and some of the other buildings in the complex, including the fog signal building and the keeper’s quarters, are open as a museum during summer months. Find out more at: http://www.phmuseum.org/fort-gratiot-lighthouse/. 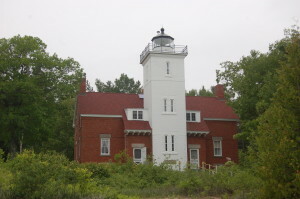 Sturgeon Point Lighthouse, Harrisville – Built in a style that is more common among the lighthouses on the East Coast than others in Michigan, the Sturgeon Point Lighthouse was built in 1869 to warn mariners of a reef in Lake Huron. The tower and attached dwelling are painted white with red trim, and the tower reaches a height of 71 feet. 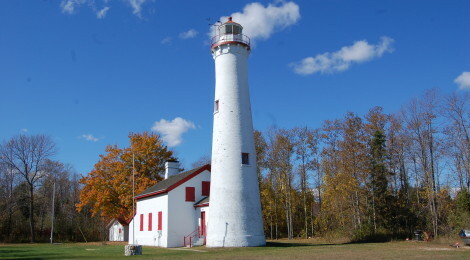 Today the lighthouse is a state scenic site managed by the Alcona Historical Society, open as a museum. The 1907 Old Bailey School and various maritime artifacts can be found on the grounds. More information: http://www.alconahistoricalsociety.com/. Forty Mile Point Lighthouse, Rogers City – You need look no further than a few hundred feet past the lighthouse to see why it was necessary, as remains of the steamer Joseph S. Fay can be seen on the beach. 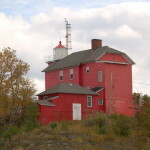 The Forty Mile Point Lighthouse was built in 1897, and it features a square brick tower rising out of a brick dwelling. Visitors can tour the light and climb the 52 foot tall tower during summer months, find out more at http://www.40milepointlighthouse.org/. 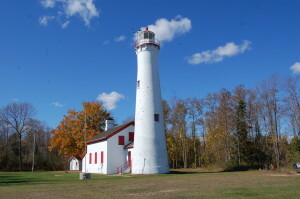 The county park grounds that surround the lighthouse feature several maritime artifacts, including the former pilot house of the freighter Calcite. 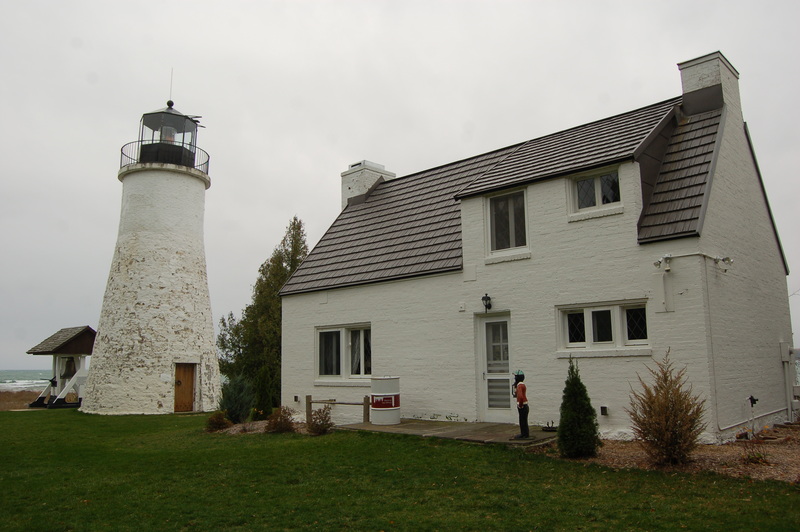 Old Presque Isle Lighthouse, Presque Isle – This was one of Michigan’s most short-lived lighthouses, but today it provides a glimpse into the past while presenting a bit of paranormal intrigue. The 38 foot tall white brick tower was built in 1840, but by 1871 the Old Presque Isle Lighthouse was replaced with a newer, taller light two miles down the road (see below). Today the lighthouse grounds and the former keeper’s dwelling are part of a museum, with many historical and maritime artifacts on hand. The ghost of former keeper George Parris is said to haunt the light, and several people claim to have had paranormal encounters here. 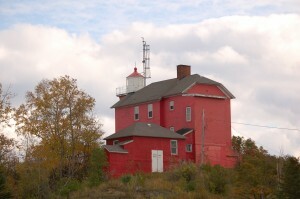 Find out more about this lighthouse and the hours of operation for the museum: http://www.presqueislelighthouses.org/home.html. New Presque Isle Lighthouse, Presque Isle – As mentioned above, this lighthouse replaced the Old Presque Isle Lighthouse in 1870. At over 100 feet tall, it is Michigan’s tallest beacon on Lake Huron and like its predecessor it in now open to the public as a museum. The views from the top of the New Presque Isle Lighthouse tower are stunning, and several of the other buildings that are part of the complex have exhibits as well. 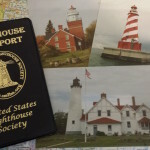 Find out more at http://www.presqueislelighthouses.org/home.html. 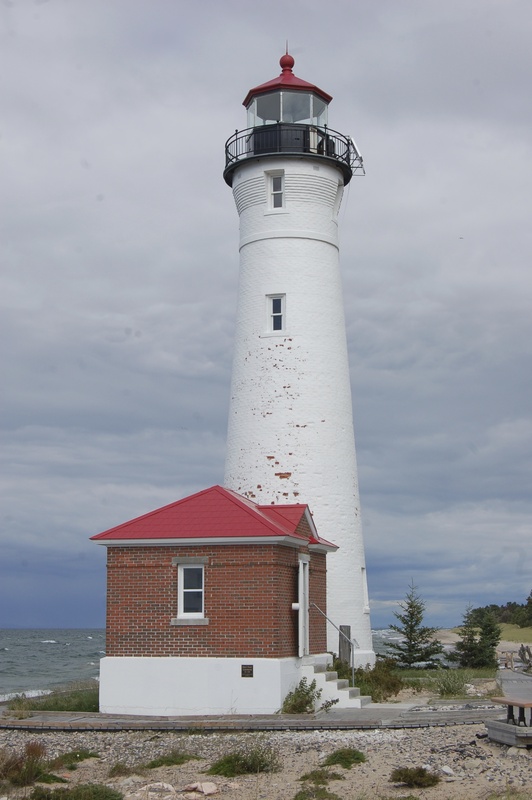 Whitefish Point Light Station, Paradise – This Lake Superior light marks one of the most dangerous stretches of water in the entire Great Lakes, one that has claimed more than 240 ships including the SS Edmund Fitzgerald. All ships entering or leaving Lake Superior must pass Whitefish Point, making the Whitefish Point Light Station one of the state’s most important. The white skeletal tower may not be very aesthetically pleasing, but adds a unique touch to this beacon that stands 76 feet tall. 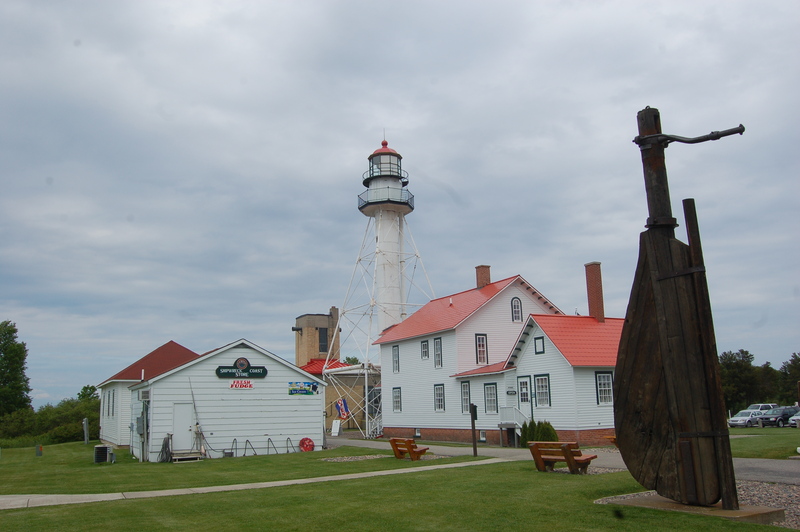 Whitefish Point is also home to the Great Lakes Shipwreck Museum, which features many artifacts from the wreck of the Fitzgerald and other ships. This is an important migratory stop for many species of birds, which is why the Whitefish Point Unit of the Seney National Wildlife Refuge is also found here. Find out more about museum hours and rates at http://www.shipwreckmuseum.com/. Marquette Harbor Lighthouse, Marquette – The ore docks at Marquette were once one of the busiest locations on Lake Superior, and the Marquette Harbor Lighthouse has helped guide ships in since the 1850s. 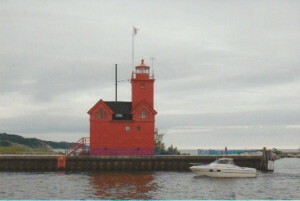 The bright red, church-style building is easily spotted along the shoreline and its tower is painted white and reaches a height of 40 feet. 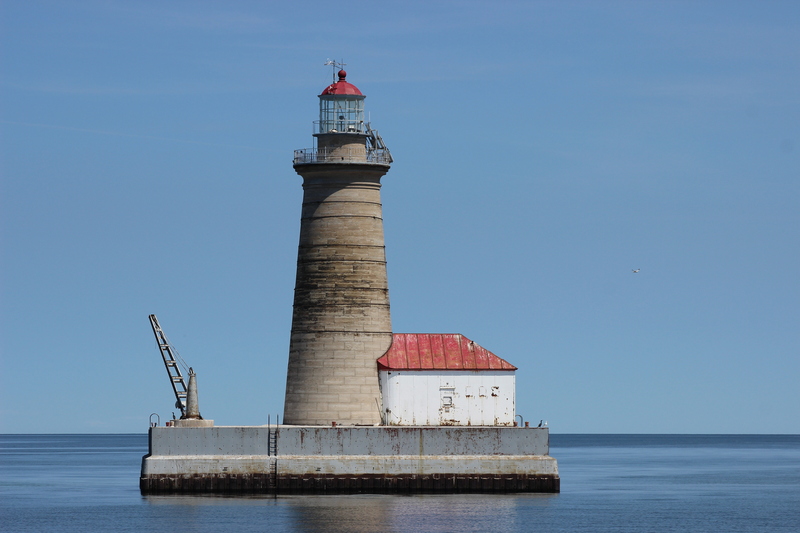 Thanks to this lighthouse’s location on a rock outcropping that extends from shore, its focal height is 77 feet. 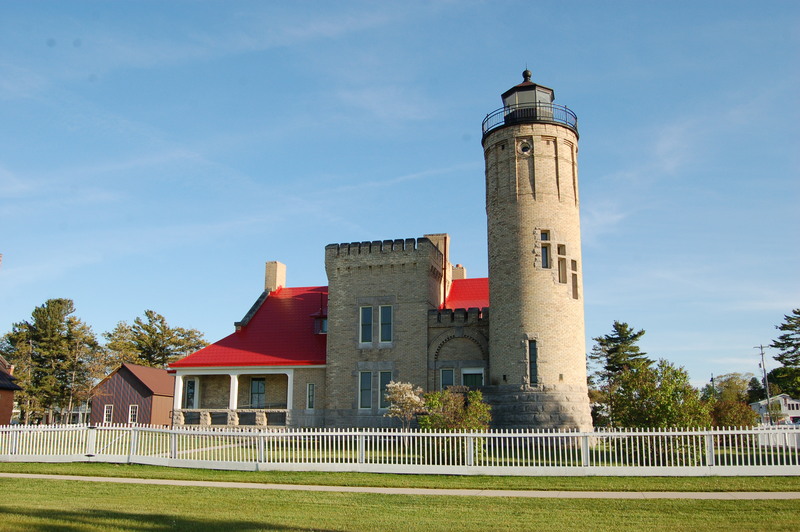 The Marquette Maritime Museum maintains the lighthouse, and offers tours in the summer months. 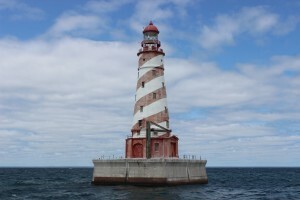 You can find out more at: https://mqtmaritimemuseum.com/marquette-lighthouse/. 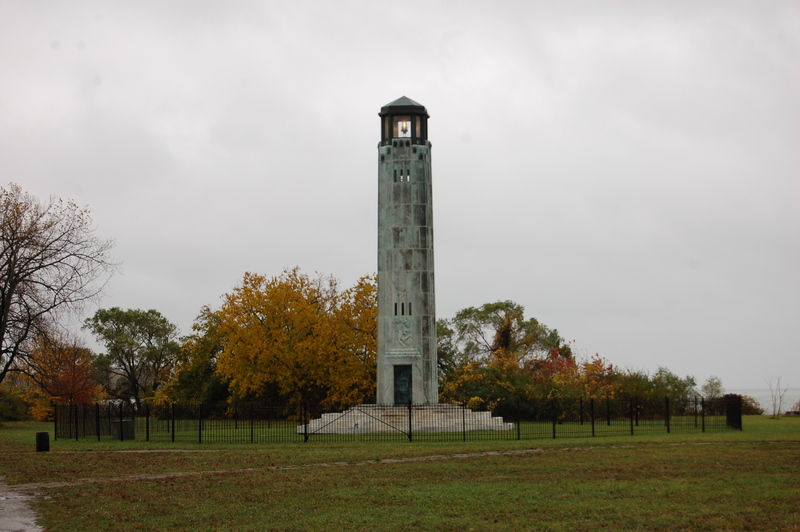 William Livingstone Memorial Lighthouse, Belle Isle (Detroit) – There’s no way that the only lighthouse in the country made of marble wouldn’t be on the bucket list, and the Livingstone Memorial Light is one of many stunning structures on Belle Isle in Detroit. It is one of two lighthouses in the state erected as memorials, and it was designed by famous architect Albert Kahn. 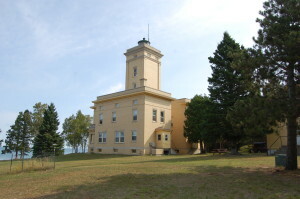 The lighthouse was dedicated in 1930, and it honors William Livingstone, the former president of the Lake Carriers Association. The marble tower stands 58 feet tall and is located at the island’s eastern end. It is a short walk from the parking area, and even though a metal gate surrounds the tower to keep vandals out the detailed artwork makes for great pictures. For more ideas of things to do, check out our post of 12 Things To Do At Belle Isle Park. A Michigan Recreation Passport is required for entry into Belle Isle Park. 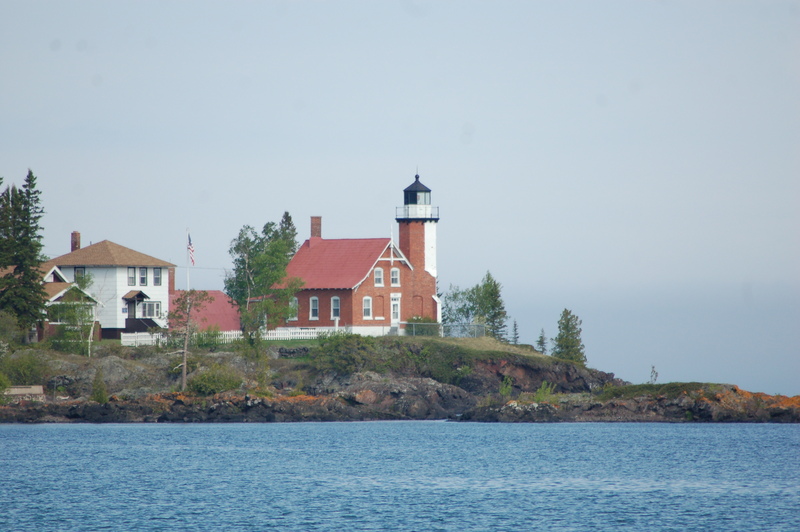 Eagle Harbor Lighthouse, Eagle Harbor – Michigan’s Keweenaw Peninsula is a beautiful place that features a rocky shoreline on Lake Superior. Several lighthouses dot the shoreline, and the Eagle Harbor Lighthouse stands out among those beacons thanks to its two-tone brick exterior and stunning location. Built in 1871, this lighthouse has a tower that is 44 feet tall. 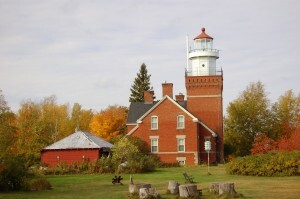 The Keweenaw County Historical Society operates the lighthouse as a museum, and a maritime museum, county museum, and commercial fishing museum are also part of the complex in the old fog signal, Coast Guard, and keeper’s house buildings. 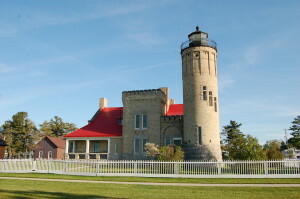 Find out more: http://www.keweenawhistory.org/sites/lighthouse.html. Crisp Point Lighthouse, Newberry – It takes a bit of work to get to the Crisp Point Light, but visitors are rewarded with amazing views of a lonely stretch of Lake Superior shoreline from the top of a 58 foot tall tower. At one point this lighthouse was in danger of falling into the lake, but the amazing restoration and preservation efforts of the Crisp Point Light Historical Society have made a visit here worthy of a spot on any lighthouse enthusiasts bucket list. Find out more and be sure to check the detailed map at: http://www.crisppointlighthouse.org/. Nearby attractions include Tahquamenon Falls State Park, Whitefish Point Lighthouse and the Great Lakes Shipwreck Museum, and Oswald’s Bear Ranch. White Shoal Light, Lake Michigan – The unique “candy cane” striping of the White Shoal Light helps make it one of Michigan’s most easily recognizable beacons. It entered service in 1910 and it marks a shallow spot in Lake Michigan 20 miles west of the Mackinac Bridge. The tower is 124 feet tall, which makes it the second tallest in the state. While it is possible to view this light from a private boat, the best bet is to check out the Shepler’s Ferry Westbound Lighthouse Cruise that runs from Mackinaw City. A schedule is available at: http://sheplersferry.com/cruises-information/. Pointe Aux Barques Lighthouse, Huron Township – An active aid to navigation that is one of the oldest surviving lighthouses in the state, Point Aux Barques Lighthouse can be found near the tip of Michigan’s “thumb.” According to the Michigan historical marker on site, “The Point aux Barques Lighthouse and Lifesaving Station aided mariners for over a century, beginning in 1847. That year the U.S. Lighthouse Service built the first lighthouse on this site to mark the turning point of Lake Huron into Saginaw Bay and to warn of shallow waters. Catherine Shook became Michigan’s first female light keeper when she took over for her husband, Peter, after he drowned in 1849. In 1857, the lighthouse and dwelling were replaced with the present 89 foot tower and attached house.” The lighthouse is open as a museum during summer months, find out more at http://www.pointeauxbarqueslighthouse.org/. 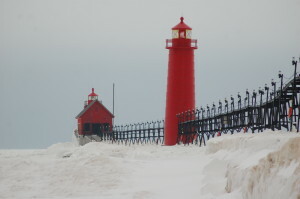 Grand Haven South Pierhead Lights, Grand Haven State Park – Hundreds of thousands of visitors flock to Grand Haven State Park each summer to enjoy the sandy beach and spacious swimming area. Walking the pier is another favorite summer activity, and the bright red Grand Haven South Pierhead Lights are an excellent backdrop for photos of Lake Michigan and the surrounding area. A walking pathway that follows the Grand River from downtown to the pier provides easy access to these lights, which have been guiding mariners into Grand Haven since the early 1900s. The inner light is 36 feet tall, and a black metal catwalk connecting the lights to each other and (at one point) the mainland makes this pier even more eye-catching. 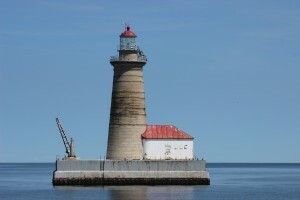 Find out more about ongoing preservations efforts at: http://www.ghlighthouse.com/. South Manitou Island Lighthouse, Sleeping Bear Dunes National Lakeshore – We haven’t included many lighthouses that can’t be found on the mainland on this list, but the South Manitou Lighthouse deserves special consideration. 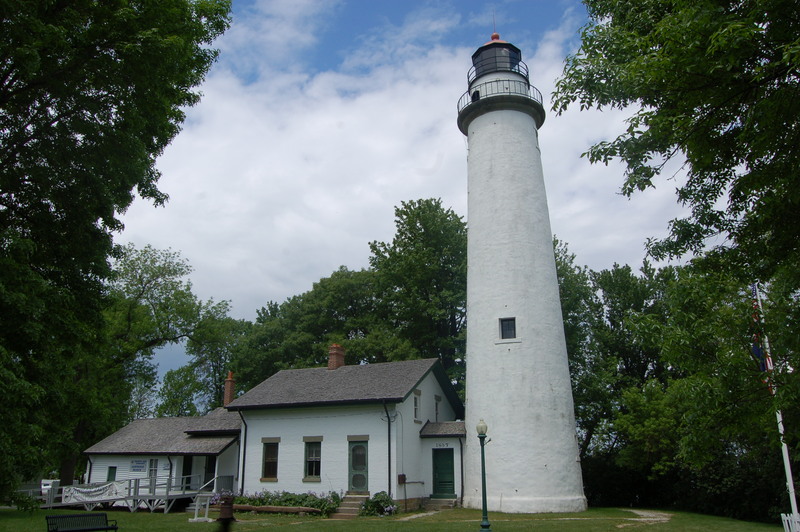 With a history that dates back to 1872, this lighthouse was an important one on Lake Michigan, as well as one noted for its beautiful construction and location. The white tower is 65 feet tall, and it is open for tours during the summer months. South Manitou Island is noted for its hiking and camping opportunities, and the wreck of the cargo ship Francisco Morazan can be seen from the south shore of the island. 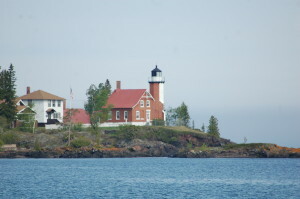 A ferry departing from Leland is the easiest way to reach the island and this lighthouse, find out more at http://manitoutransit.com/. Spectacle Reef Lighthouse, Lake Huron – The most beautiful of Michigan’s lights in Lake Huron, the Spectacle Reef Lighthouse warns of a dangerous reef that had claimed many ships before its construction in 1874. The tower is 80 feet tall, capped with a red lantern room and resting on a thick concrete crib. 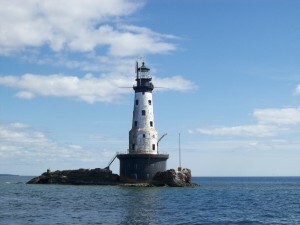 Spectacle Reef was one of five lighthouses chosen for the 1995 “Lighthouses of the Great Lakes” postage stamp series. 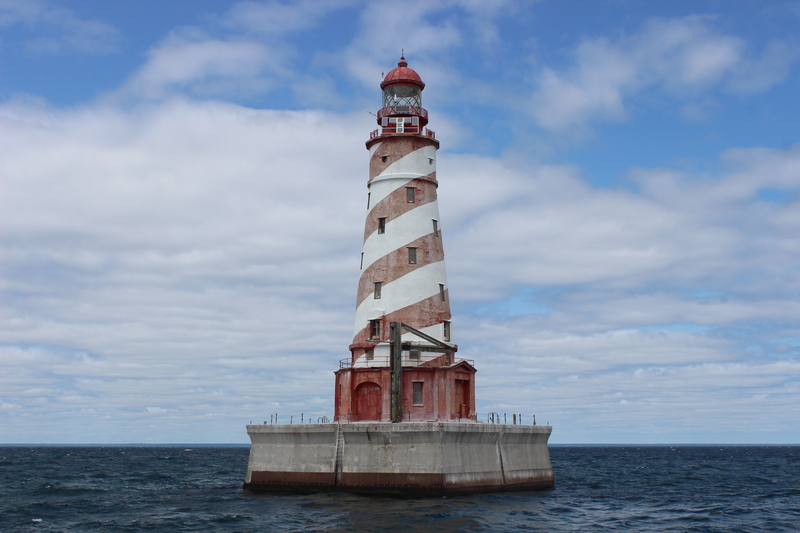 The best chance to see this lighthouse is taking the Eastbound Lighthouse Cruise extended trip from Shepler’s Ferry in Mackinaw City. Check out a schedule at: http://sheplersferry.com/cruises-information/. Big Bay Point Lighthouse, Big Bay – Lighting the way from the top of a tall cliff on Lake Superior, the Big Bay Point Lighthouse is one of a handful in Michigan that offers the chance for visitors to spend the night in a bed and breakfast setting. The 64 foot tall, white tower rises out of a red brick dwelling with many rooms. Since 1896 the Big Bay Lighthouse has marked the point where mariners turn and head towards Marquette, which lies 24 miles to the southeast. The lighthouse is rumored to be haunted. The grounds are open to the public at certain times of day, while those interested in staying at the bed and breakfast should head to http://www.bigbaylighthouse.com/ for more information. Sand Hills Lighthouse, Ahmeek – Certainly one of Michigan’s most unique lighthouses, the castle-like Sand Hills Lighthouse has been operating as a bed and breakfast since the 1990s. A 70 foot tall square tower rises from the middle of a large dwelling. The entire structure is constructed of light colored brick, and other surviving buildings include the fog signal building and a barracks building that housed Coast Guard trainees during World War II. 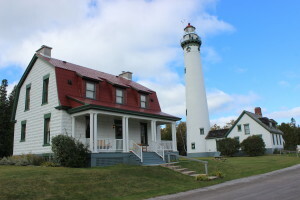 Find out more about how to book a stay at this unique lighthouse with stunning views at http://www.sandhillslighthouseinn.com/.